Last week we published the first Social Media Marketing World conference eBook and while it’s had over 15,000 views on Slideshare and many thousands of views here already, I think we’ve just seen the tip of the iceberg. As a robust sized eBook, it’s full of practical advice including platform specific tips like the following 5 nuggets about LinkedIn. 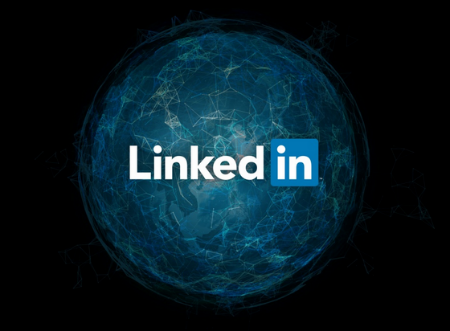 No single social platform will define your personal brand and clarify the unique value that you bring to an organization or project as well as LinkedIn. Use your personal profile page to tell your story, and do so in a way that is clear, concise and engaging. LinkedIn is a powerful platform for establishing your personal brand, but only if you take the time to learn it, optimize it and use it. 2014 is the year of #ProfessionalBranding and the #SocialEmployee. It’s time to move from using LinkedIn as a resume to using LinkedIn for your online reputation. If you’re in Sales, optimize your profile for the Buyer versus the Recruiter. Eliminate the #QuotaCrusher #ExpertNegotiator language. Include rich content (videos, infographics, podcasts, eBooks, blog posts) that inform your buyer and helps establish your subject matter expertise. Always be connecting & curating quality content! Relevant and timely content. Leverage LinkedIn’s demographic segmentation features to develop content for various audiences and deliver it on time for maximum sharing. Engage frequently and directly. Post and respond to comments. This will help build your company’s influence and the targeted communication fosters trust and loyalty. Post company updates and news. People enjoy reading new information about their favorite brands. Post frequent status updates to keep your customers up-to-date on events and offers. Great brand examples to learn from on LinkedIn include: Dell, Salesforce, Hubspot, and Zipcar. The key to successful selling on LinkedIn is moving from people “knowing” you to “liking and trusting” you. Make sure your profile accurately represents you and your brand. Establish connections with your target market. Share useful content through the use of updates, group discussions and messages. Do this and stay top of mind with your connections and before you know it, your prospects will be coming to you! Don’t just stop at marketing your Company Page: Get your salespeople involved with using LinkedIn for Social Selling. Get your employees involved as part of an Employee Advocacy program. To access ALL of the tips from our 38 eBook participants, just visit our Slideshare page where you can view or download the full PDF. Also, if you want to hear all of these tips and much more in person, then be sure to check out the Social Media Marketing World conference website. Great Post, I’ve been apprehensive about marketing on social networks because it can get quite costly. I’ll definitely be using the tips in this post. Thanks for the post.. I have become a huge fan of this post and yours also.. it helps me lot to understand many thing about LinkedIn.. Great post..
And after just one week, views on SlideShare have more than doubled to 34,225! Thanks for the feedback, Tim! There are definitely some fairly new tools worth trying out.